Vologda Oblast (Russian: Вологодская область, tr. Vologodskaya oblast, IPA: [vəlɐˈɡotskəjə ˈobləsʲtʲ]) is a federal subject of Russia (an oblast). Its administrative center is Vologda. Population: 1,202,444 (2010 Census). The largest city is Cherepovets, the home of the Severstal metallurgical plant, the largest industrial enterprise in the oblast. 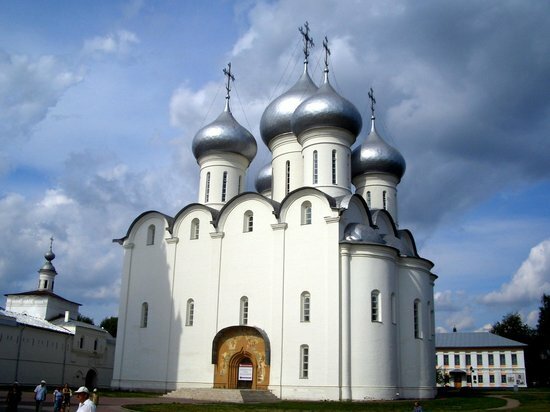 Vologda (Russian: Вологда, IPA: [ˈvoləɡdə]) is a city and the administrative, cultural, and scientific center of Vologda Oblast, Russia, located on the Vologda River within the watershed of the Northern Dvina. Population: 301,755 (2010 Census); 293,046 (2002 Census); 282,802 (1989 Census).